DomainsHoster‘s SSL Certificates are provided by GeoTrust® and are one of the fastest ways for you to start protecting online transactions and applications with SSL. cPanel and WHM for Dedicated Servers is a simple, elegant and powerful GUI to manage your server, users, mail, website, statistics and more! cPanel Dedicated Servers include a state of the art, web-based control panel designed with a three-tier structure to make web hosting provision quick and simple. 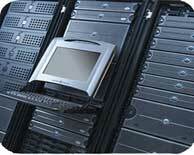 Each level of cPanel Server Management provides monitoring, security and direct support with each dedicated server. DomainsHoster is the leading cPanel provider in Pakistan and we specialize in cPanel server Management only.